Slide in global crude oil prices along with expectations of fund infusion into public sector banks and value buying lifted the key domestic equity indices higher on Tuesday. However, broadly negative Asian and European indices capped gains. Analysts pointed out that healthy buying was witnessed in banking, oil and gas, automobile and consumer durables stocks. Index-wise, the broader Nifty50 of the National Stock Exchange (NSE) closed at 11,008.05 points — higher by 71.20 points or 0.65 per cent — from its previous close. Sensex touched a high of 36,549.55 points and a low of 36,261.78 during the intra-day trade. On Monday — the previous trade session — both the indices closed in the red due to a rise in wholesale inflation rate and broadly weak global cues. “Markets bounced back sharply on Tuesday after the sharp correction seen in the previous session. 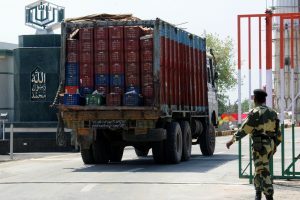 The gains came on the back of an overnight steep fall in crude oil prices, which will benefit India from various angles,” said Deepak Jasani, Head of Retail Research at HDFC Securities. European indices like FTSE 100, DAX and CAC 40 traded “mildly in the red”. On the currency front, the rupee strengthened by 12 paise to end at 68.45-46 per dollar, against the previous close of 68.58 per greenback. Investment-wise, provisional data with exchanges showed that foreign institutional investors sold scrip worth Rs 673.99 crore and the domestic institutional investors bought stocks worth Rs 840.06 crore. Sector-wise, the S&P BSE banking index was the top gainer with a rise of 422.53 points. On the contrary, the S&P BSE FMCG index declined by 91.12 points. 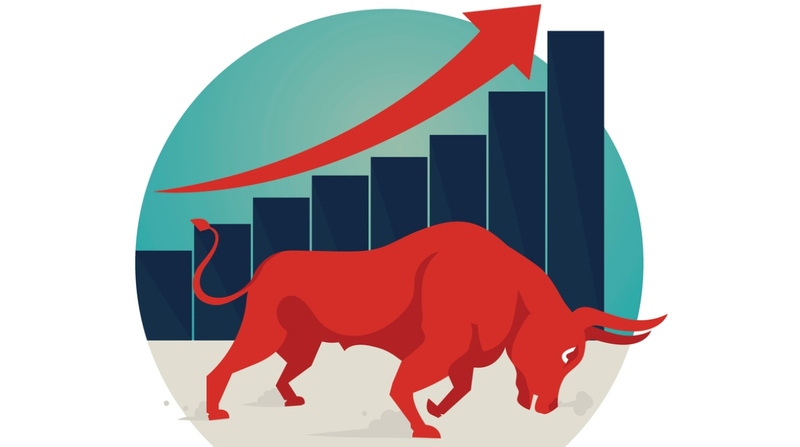 The major gainers on the Sensex were SBI, up 2.98 per cent at Rs 259.25; Sun Pharma, up 2.97 per cent at Rs 548.80; Axis Bank, up 2.86 per cent at Rs 538.05; ICICI Bank, up 2.70 per cent at Rs 266.30; and Tata Steel, up 2.54 per cent at Rs 532.50 per share. The top losers were Hindustan Unilever, down 4 per cent at Rs 1,683.75; Bharti Airtel, down 1.14 per cent at Rs 342.25; IndusInd Bank, down 0.94 per cent at Rs 1,905.15; ITC, down 0.63 per cent at Rs 269.80; and Infosys, down 0.42 per cent at Rs 1,327.40 per share.